Why Watch it Today? : When I was a boy, my older brother owned a Charlie McCarthy ventriloquist doll. The doll unnerved me, and, whenever possible, I’d shove it under my brother’s bed, hide it in closets, or beat on it. Eventually I gave the doll away to one of my cousins, after a particularly unnerving nightmare about the doll coming out from under the bed and pulling me down towards it. I awoke lying on the floor, staring at the doll, grinning at me from under the bed. 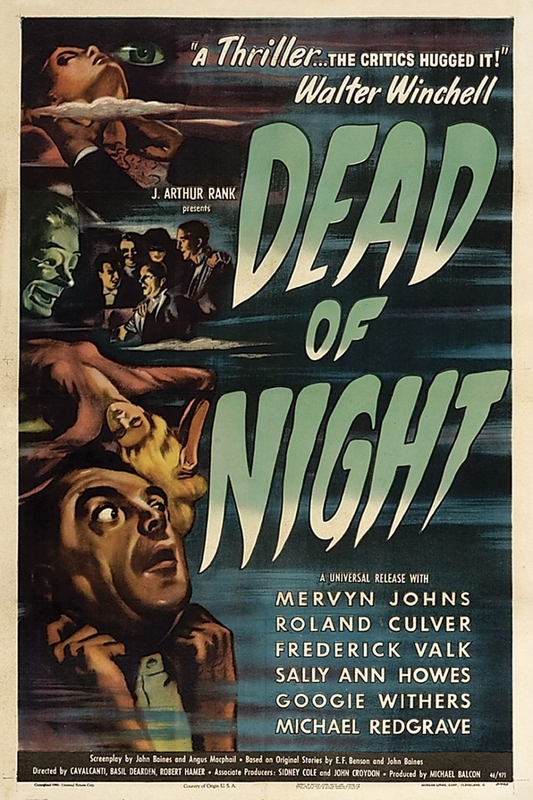 Needless to say, horror movies featuring ventriloquist dummies put me on edge, but there is none that matches Dead of Night, which caps off a series of mood building stories with the creepiest dummy in film history. Today is the last day of the Vent Haven Convention, the world’s largest and oldest ventriloquist convention. I am very happy that it is far, far away from me. This entry was posted in Adaptation, Anthology, Based on a Short Story(ies), Black and White, Comedy, Ghost, Horror, Killer Dolls, Movie of the Day, Nightmares and tagged architect, asylum, Britain, Christmas, Christmas Party, dummy, Ealing Studios, ghost story, golf, insanity, it's not over, kid ghost, mirror, nightmares, psychiatrists, self fulfilling prophecy, time loop, ventriloquist.